On 5 March, 2018, The General Secretariat of The Executive Council of Dubai and Emirates Literature Foundation awarded the 6 winners of the School Librarian of the Year Award for their transformative work in encouraging students to read, develop their creativity and enhance the importance of reading in the schools of the UAE. Two librarians were awarded special recognition for their determination and dedication to their students. 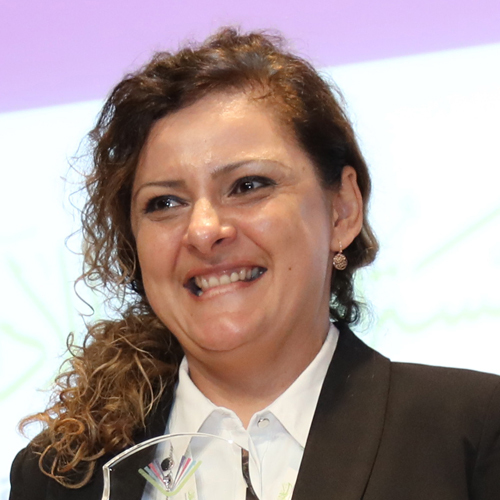 In recognition of the commitment and inspiring efforts of all the nominees, it was also announced at the ceremony that all librarians nominated for the School Librarian of the Year Award 2018 will be awarded registration to the school librarian training day in the Library Conference hosted by the American Library Association (ALA) Conference at Sharjah International Book Fair in November 2018. The ceremony was held at the landmark Etihad Museum, Jumeirah 1 during the week of the Emirates Airline Festival of Literature 2018 and the UAE’s Month of Reading. In attendance were His Excellency Mohammed Al Murr, Emirates Literature Foundation Trustee and Mohammed Bin Rashid Al Maktoum Library Foundation Chairman, His Excellency Saeed Al Nabouda, Acting Director General of Dubai Culture & Arts Authority, Dr. Salah Abdul Aziz Al Qassim, Advisor, Dubai Culture & Arts Authority, Dr Hissa Ahmed Binmasoud, Director of Public Libraries Department and Shumous Bin Faris, Dubai Coordinator for the Month of Reading, The General Secretariat of The Executive Council of Dubai in attendance. The prizes were presented by His Excellency Abdulla Mohammed Al Basti – Secretary General of the Executive Council of Dubai and bestselling UK children’s author Jacqueline Wilson. All three winners, plus the librarian awarded special recognition in each category, were also awarded registration to the 3-day Sharjah International Book Fair/ American Libraries Association conference in November 2018. 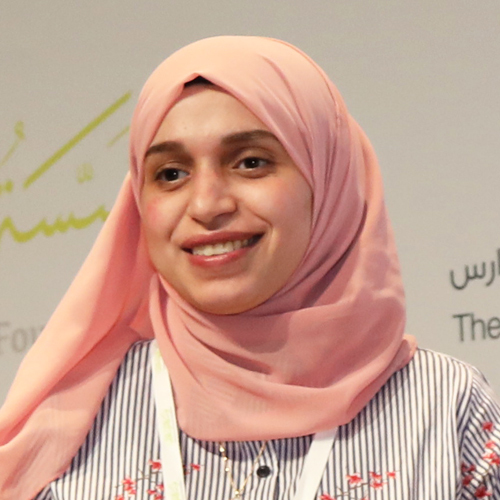 Sameh Farouk, along with co-winner Bakhita Almansoori, is school librarian at the Bida Al Mutawa School in Abu Dhabi’s Western Region. The library houses 8,927 titles and serves 252 male and female students from kindergarten to grade 12. What did winning first place at the School Librarian of the Year Award mean for you and your library? Winning the School Librarian of the Year Award is a huge stamp of quality for our library. It is the crowning achievement of our years of hard work to bring to life our vision for the Bida Al Mutawa school library, which was opened in 2011. 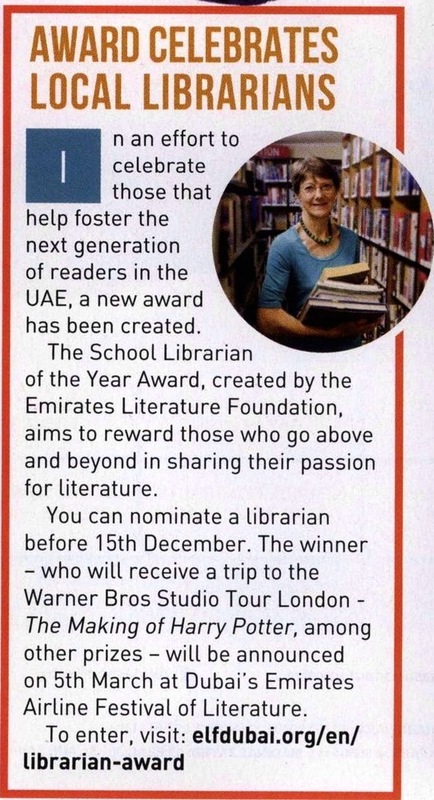 How do you think the School Librarian of the Year Award raises the profile of school librarians in the UAE? The School Librarian of the Year Award has become a recognized position among other similar awards linked with reading and culture. I believe that the award will provide competition between librarians that will have a great impact on future generations. I want to say thank you to the people behind the success of this award. If there’s one recommendation for an activity or resource used to encourage reading for pleasure that you’d like to share with other librarians, what would it be? Parent involvement is a huge encouragement for children to read. I recommend reaching out to parents with informative sessions and workshops on how to support their children’s reading and also inviting them into the library for reading activities. Student groups like the ‘Friends of the Library’ are also key promoters of reading. They have special privileges and responsibilities, such as checking out books and leading reading activities around school and other children are encouraged to aim for similar privileges through reading more. And finally, trips to nearby public libraries provide a wonderful opportunity for the children to enjoy reading and to find out about newly released books, which are regularly added to the libraries’ collections. Which 3 books from your school library are your favorite and why? Hard Times by Charles Dickens is one of the best novels I have read. The realistic style of the writer and his wonderful narrative are just some of the reasons why I enjoy this book so much. The Genius Series of Abbas Al-Aqqad, because of how well written it is, the role of each character, and the plot of the book. The Seven Habits of Highly Effective People by Stephen Covey as it gives readers a plan for success in life. 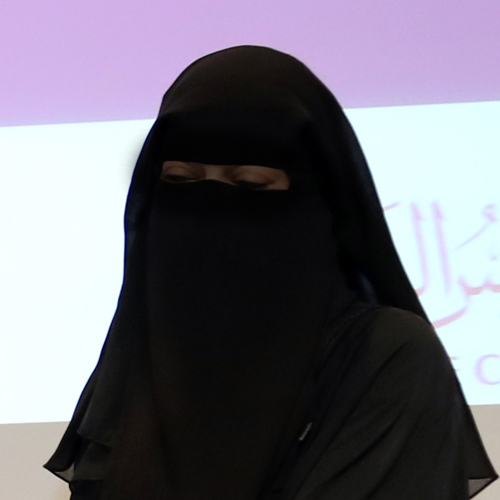 Aliaa Alketbi is school librarian at the Mohammed Bin Rashid Girl’s School for Basic Education in Dubai. In addition to the school’s 631 students, teachers and parents, the library also serves universities and schoolchildren from a neighboring emirate. How did you become a school librarian and was it something you always wanted to do? When I was an Arabic teacher, I loved books and reading. I always looked forward to this kind of profession where I can teach students and enhance their willingness to learn. The library has a very important role in the development of students in strengthening their culture and building a knowledge-based society. 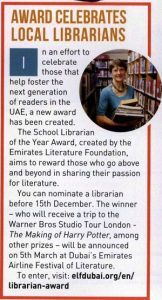 I believe the honouring of school librarians in the United Arab Emirates through an annual award to credit the best librarian is a great appreciation to our contribution. It also highlights our role in bringing up an educated and innovative generation. I recommend using the smart board and preparing an e-library to develop student’s abilities by providing access to self-development books, online learning resources, and tablet applications. Also, organizing competitions to encourage students to read and develop their skills can expand their horizons through reading. 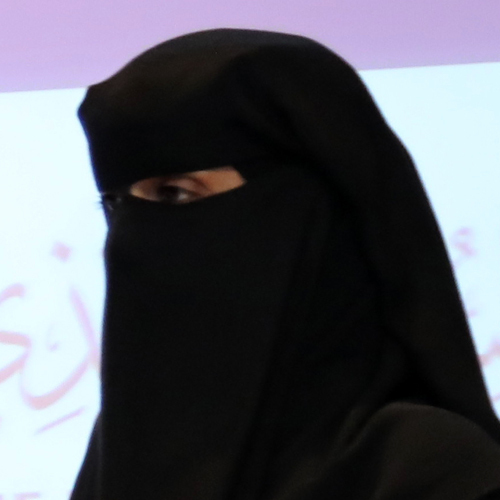 Amna Alshamsi is school librarian at the Shaikha Bint Suroor School in Al Ain. The library serves the school’s 1001 cycle 1 and kindergarten students as well as their teachers and parents. I was one of the first school librarians in Al Ain – we were appointed by the Ministry of Education in Dubai in 2001. I had a degree in Arabic Language and Islamic Studies and applied to be a librarian immediately when I saw the Ministry’s advertisement because I have always loved literature and poetry. When I started, my library was a classroom at the far end of school, full of old furniture and containing only a small collection of religious and social stories – fewer than 200 books in all. I worked hard to turn it into a beacon of information, knowledge and culture and now it’s the heart of the school. What did winning third place at the School Librarian of the Year Award mean for you and your school library? I felt extremely happy and proud of myself. It further enhanced my confidence in my ability to help others. This win also put my school on the map which motivated me to spread more positive energy and encouraged other librarians to participate in the award. 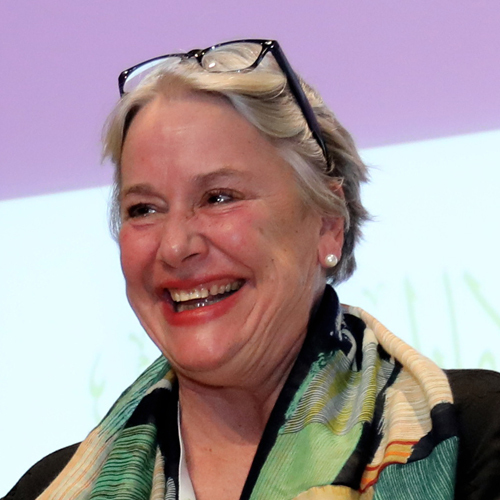 The School Librarian of the Year Award is like a badge of honour for all librarians, in recognition of their efforts and accomplishments and the importance of their profession. Librarians are sometimes marginalised and considered to be ‘idle while employed’, but this image has thankfully changed to a great extent as a result of the efforts of librarians and senior leadership at school and in the education sector. 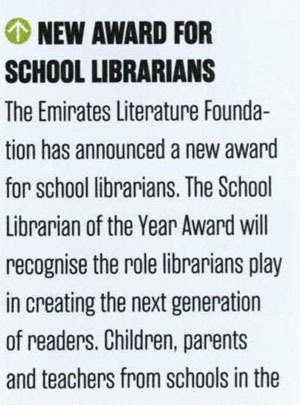 The award adds strength and significance to the role of school libraries and librarians in the UAE and encourages them to strive to give back to this generous nation. Can you name 3 of your favorite books in your school library? Please, explain the reasons for your selection? Reflections on Happiness and Positivity by His Highness Sheikh Mohammed bin Rashid. When reading this book, you feel the power of happiness and optimism between the lines which is inspiring. Robin Sharma’s Greatness Guide immensely motivates you towards excellence and striving to achieve your goals. Lesley Morrow’s Literacy Development in the Early Years: Helping Children Read and Write is the best reference book for teachers and librarians because it contains programmes and strategies that support reading and writing skills for students. 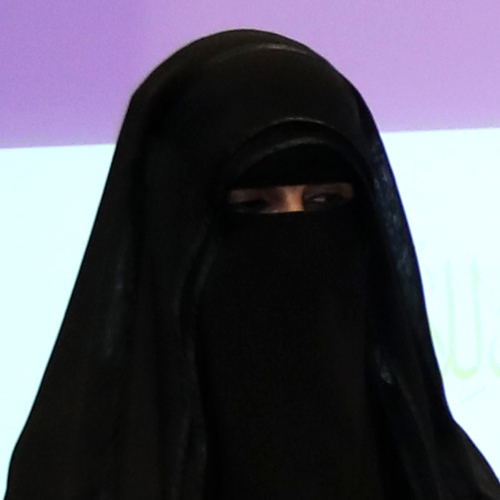 Maha Alghanem is school librarian at Al Wady Cycle 1 School for Boys, Al Dhaid. The small library hosts a wealth of events and activities for its 358 students. Having always loved reading, I applied with enthusiasm when the Ministry of Education advertised for librarians in 1998, even though I had no relevant degree or any idea what the job involved. I was delighted to become a librarian because the profession is valuable to educational institutions as a source of information and knowledge. Awards in general are a drive for competitiveness. 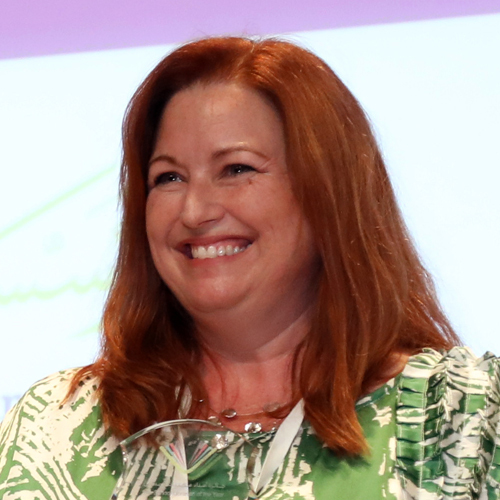 The School Librarian of the Year Award has the potential to motivate this category of librarians to create unique activities and events suitable for all students. 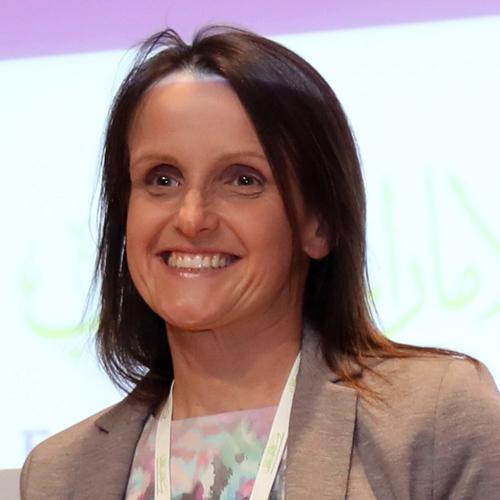 Veronika Lambova is the primary school librarian for The Winchester School in Jebel Ali which serves up to 1,800 children from Year 1 to Year 6. I’ve always loved libraries. One of my earliest memories is attending the local public library during cold winters back in Bulgaria and reading for hours in a warm and cosy atmosphere. I have to admit, it was not my dream job to become a librarian. I become a librarian only when I decided to work for the community school as a parent volunteer and the librarian position was open. It is amazing how much I’ve learned and experienced since then. It came as a surprise to me at first and it was a moment, filled with happiness and excitement. The Award belongs to each and every child in the Winchester Library, as they made me the Best School librarian. Each morning that I enter my library, I hope that I can rise to the expectations of the title School Librarian of the Year. Book clubs, book clubs, book clubs! As many as possible. And let the children lead. Just guide and support them and you will be surprised from the outcome. “Malala”- A real-life story of Pakistani-born education activist Malala Yousafzai. I believe that children can be influenced by a variety of adults and peers. Role models can be instrumental in developing career and educational goals. “Pippi Longstocking”- The very first book I read in school. I like to call her the original child superhero. She can pick up horses and thieves and live on her own with a monkey. The main character, Pipi, never went to school, but instead, she traveled the world with her father and it was in the center of most existing adventures! ‘’Smile’’ by Raina Telgemeier-This is an autobiography of Raina’s life in middle school. Many children recognize themselves in the main character and “smile”. The theme of the book is that it doesn’t matter what you look like on the outside, it’s what matters on the inside. Graphic novels are very popular in the Winchester Primary Library. 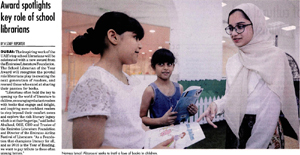 Julie Dotterer is the elementary school librarian at the American Community School located in Abu Dhabi. The elementary library serves 500 students from KG1 up to Grade 5 and houses 12,000 fiction and non-fiction books. I have been a teacher since 1976 with literacy always being my passion. 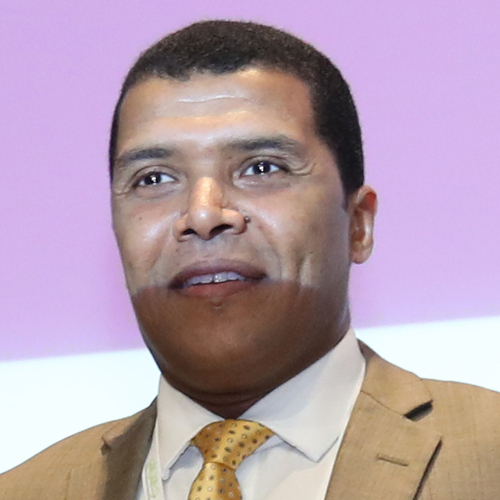 Having taught in Kansas City(USA), Berlin(Germany), Kuala Lumpur(Malaysia), Taipei(Taiwan), Izmir(Turkey), Guangzhou(China) and now Abu Dhabi (UAE), I have pursued that passion with vigor in each and every setting. I received my MLIS in 2001…a labor of love while raising two young daughters. What did winning third place at the School Librarian of the Year Award mean for you and your library? Winning third place at the School Librarian of the Year award was absolutely fantastic. I am extremely proud for our ACS Abu Dhabi school community—we are an eager group of lifelong readers- the recognition of our passion is terrific! READ! READ! READ! I read aloud to each and every class I teach in the library- no matter what age. My mantra has always been, “Read Until Your Lips Fall OFF!” There is nothing more rewarding than to have a child say, “OOHHH, read it again, Ms. Julie!” I also do a lot of book talks with every class—children need to see that I am a lifelong reader and have favorite books, too. I strongly believe in holding Book Fairs twice per year at the school- we are delighted to work with Early Starters and our school community loves them! For my students in grades 4-5, offering the Battle of the Books as an after school activity has been a huge hit—we are lucky to have such eager readers at ACS Abu Dhabi! Which 3 books from your school library are your favourites and why? It’s difficult to list just three!! My absolute favorite book of all time is A Wrinkle in Time by Madeleine L’Engle. My grandmother gave me my first copy when it was originally published because the author was a dear friend of hers and I was hooked! The Harry Potter series—I think J.K.Rowling brought the love of reading back across the world with this series, to all ages! I read each book along side my daughters, who devoured every page…we all did. Anything written by Kate DiCamillo!! Her picture books are as entertaining as her novels. I absolutely love The Tale of Despereaux—it just takes you away…nothing better than sitting down with a cup of coffee in a comfortable chair with a great book. I love all of her books—such an amazing storyteller! We were thrilled to have received seventy-seven nominations recognising the achievements of wonderful librarians from all over the UAE. Click here to view nominations received in Arabic. Please click here to view the winning librarians from the first edition in 2017. The competition is open to all school librarians in all stages of school education, from primary/elementary upwards. One candidate can be nominated from each library. One candidate can be nominated from each library in schools which have separate libraries for each stage. The librarian and the head teacher must be aware of and approve of the nomination. Any librarian can nominate him- or herself. Previous applicants who were not awarded first prize in the previous edition of the award (2017) are welcome to enter again. Only one nomination will be accepted per librarian and once submitted, nominations may not be updated. Joint nominations are allowed only where the librarian role is performed as a job share partnership where each librarian holds equal status. Joint nominations must be submitted as a single entry, and the prize would be shared by Nominees should they win. To be considered for the award, Nominees must be employed at the same school listed on their entry form at the awards ceremony in March 2018. All Nominees will receive a certificate of participation. Please ensure Nominee names are spelled correctly on the entry form. Certificates will be distributed at the awards ceremony in March 2018. The first and second-place winners must give their preferred dates for travel and the details of their three companions by 15 April, 2018. The prize(s) must be taken by 5 September 2018, and cannot be deferred. In case a first prize winner is unable to travel to the United Kingdom for any reason, a visit to Dubai Parks and Resorts for 4 people including four nights’ accommodation at a Dubai hotel will be offered as an alternative. There is no cash alternative to any of the prizes. Prizes unclaimed within the specified deadline will be deemed to have been forfeited. Emirates Literature Foundation does not accept any responsibility for late or lost entries due to the Internet service. Proof of sending is not proof of receipt. 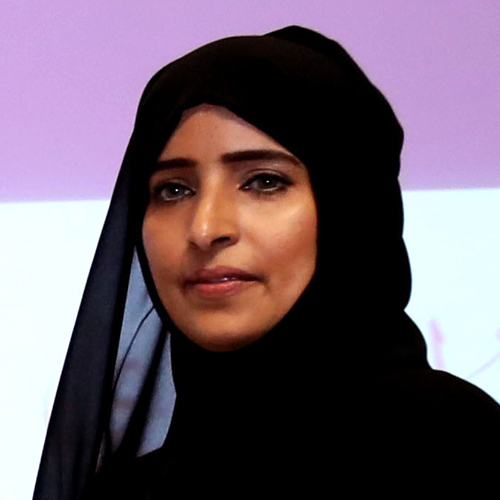 Entrants agree, in case they are short-listed, to the Emirates Literature Foundation’s use of their name, photograph and student-testimonial video in relation to related publicity material and activities. Schools should be aware that they need to have parental consent for use of student testimonials. Entrants agree, in case they are selected as winners, to participate in and provide content for media and Emirates Literature Foundation publicity material and activities as requested by the Foundation. By entering for this award, Nominees are deemed to have accepted these terms and conditions and to agree to be bound by them. Judging decisions are final and no correspondence will be entered into with regard to these decisions.